Even on a wet and grey London day, there is something to be excited about because it’s WEDNESDAY!!!! And today is a special Woman Crush Wednesday! Because we are honoring Hemsley + Hemsley! 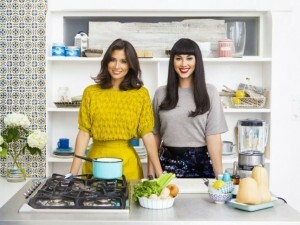 The sister duo Jasmine and Melissa Hemsley. Since it is doubly special, for this once, we are calling today Women Crush Wednesday. These ladies are even more gorgeous in person than in their stunning photos. I had the pleasure of meeting them at Jamie Oliver’s Big Feastival the end of August. They were doing a demonstration of their kitchen essential tool the Spiralizer. And when they asked for volunteers from the audience, well my exuberant American self jumped up in two seconds flat. Actually it was great to give it a go. It is a non electronic gadget that turns any veg or fruit into beautiful edible ribbons of flavor. With the recent shift away from carbs, gluten and grains, this handy gizmo gives you the effect of spagetti pasta noodles but with veg such as courgettes. Hence their courgetti with a beef ragu recipe in their book The Art of Eating Well. Since I don’t own a spiralizer I decided to do one of their other famous recipes, BB Brownies, as a way to show them some love! 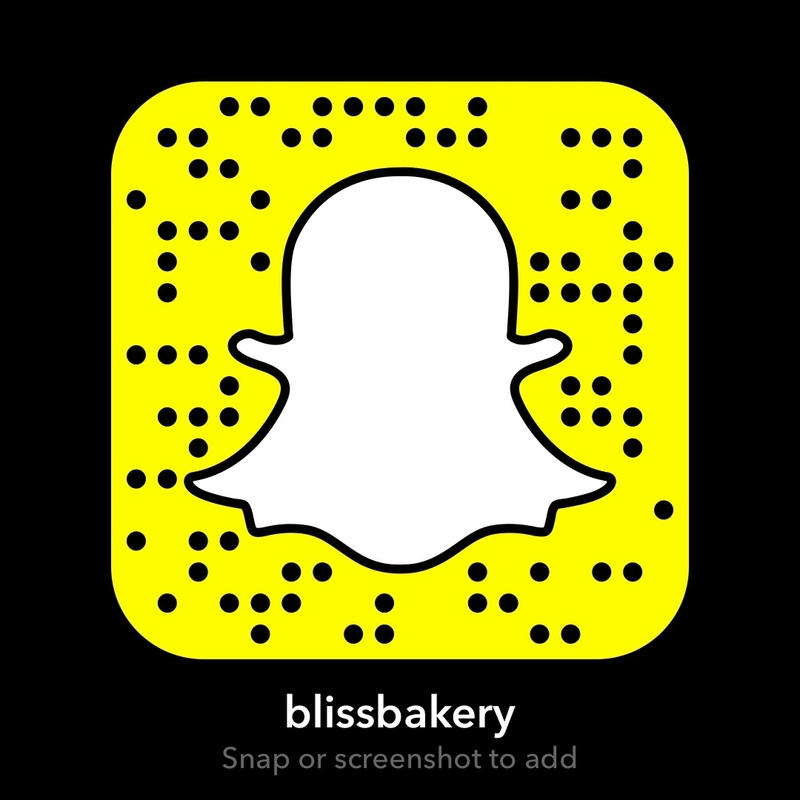 The BB is for Black Beans and I hoped that when I did the tutorial for snapchat (user name blissbakery) I wouldn’t lose viewers. 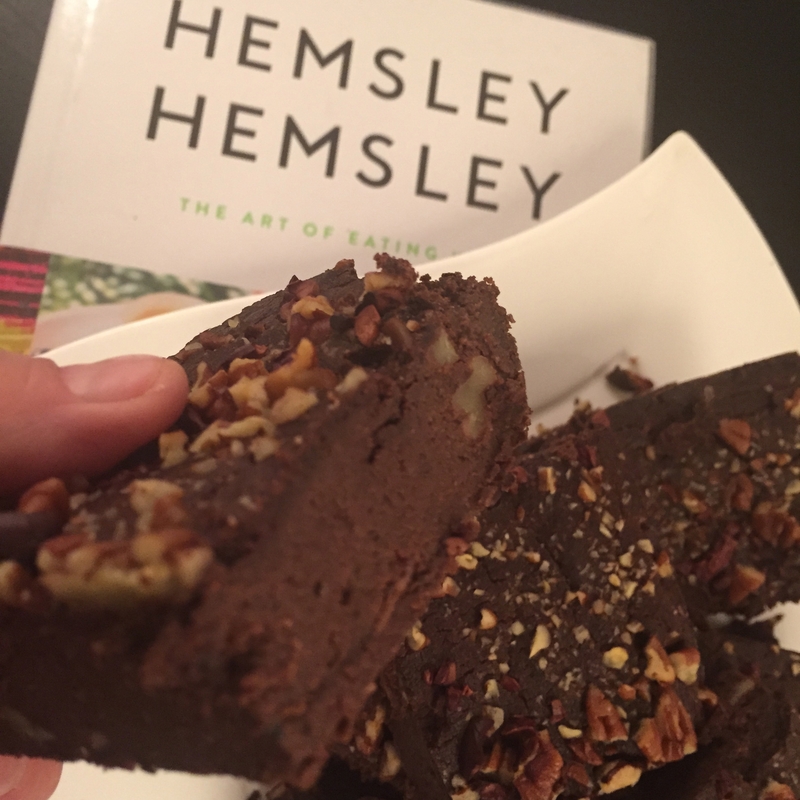 I have done loads of healthy recipes before, even though I tend to lean towards the naughty treats. But beans in a dessert could be such a paradigm shift for some that they might tune out. It seems like a strange ingredient for chocolate brownies but quite frankly, they are actually a perfect choice! They add texture and nutritional value while maintaining a neutral taste. What you end up tasting are the other lovely flavors. 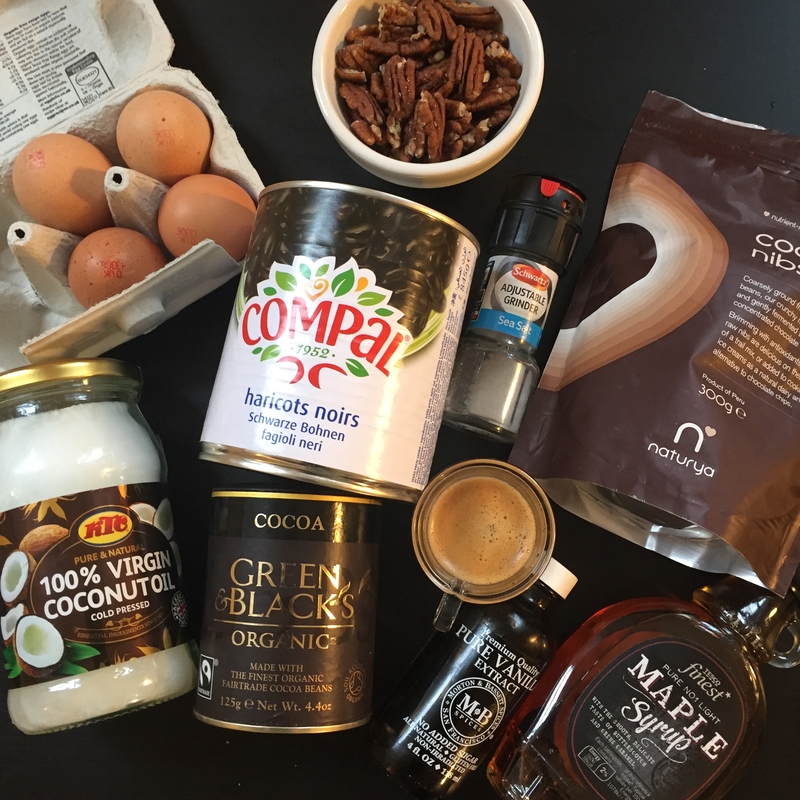 The chocolate and maple syrup come through along with the vanilla extract and the bit of coffee. And I like that the recipe is also flexible in that it says you can use butter or coconut oil. I chose the coconut oil since I wanted to keep it dairy free. The good news is from the snapchat response, it was a massive hit! So many people are trying to look after their health and wellness. Yet they don’t want to walk around feeling deprived. These brownies are the answer! They are fudgy and moreish. The instructions are pretty fool proof too. It helps to have a food processor of course, but other than that you don’t need anything fancy and the ingredients are easy enough to find at your local grocery store. Often times ultra healthy recipes call for ingredients that can only be found in a health food store. That isn’t a problem per se, but can exclude some people, like a busy working mom of four. With little time to make extra stops on shopping days, it might make it a bit tricky to incorporate new recipes like these. But with H+H’s BB brownies, which a mom can put together in no time, the whole family can nosh on these nutritious and delicious goodies without a hint of guilt! The Hemsley Sisters are not professionally trained chefs, but their ascent to celebuchef status is well deserving. They talk the talk and walk the walk. A read through their book and you know they have done their research. The don’t go overboard with harsh food rules, but they are committed to a healthy lifestyle while still being balanced. One look at their glowing faces would make anyone want some of what they have going on. And in a current culinary climate of young women who are starving themselves by eliminating whole categories of essential food groups, these ladies are still enjoying loads of things such as meat, dairy and fat. They just believe in eliminating refined sugars and certain grains. They also espouse common sense tips such as chewing food properly to help aid digestion. And they are big on the notion of “boiling your bones” to create a nutrient rich broth that is used in everything from soup to risotto and ragu. When I do my snapchat tutorials I always have music accompanying me. 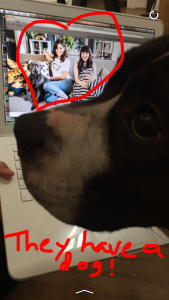 And much to my pretty pit Stella’s chagrin, I like to sing along, and dance a little too. But even with bad singing and bad dancing I demonstrate some good recipes. Like this one! 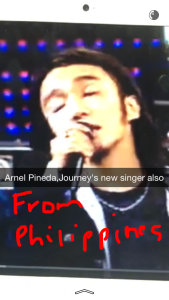 And today, all of the music featured artists with Filapino ancestry. 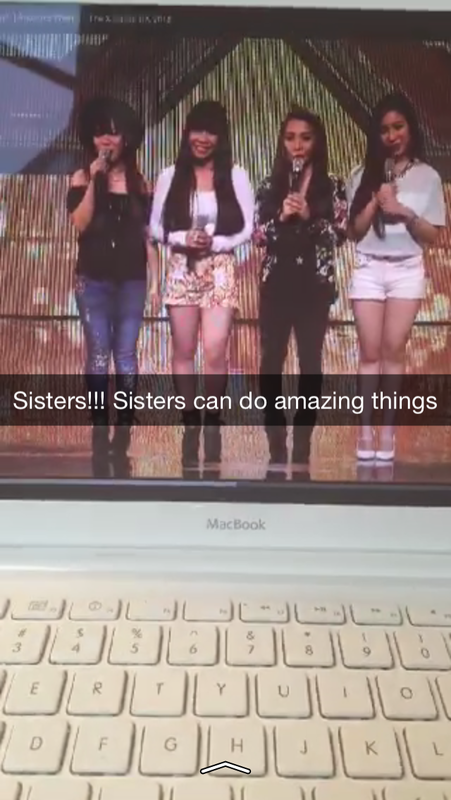 Bruno Mars, Arnel Pineda, Lea Salonga and X Factor’s new find, 4th Power (now called 4th Impact). Why? 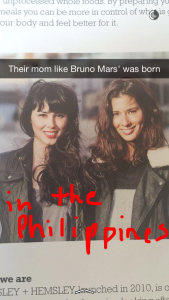 Because Jasmine and Melissa’s mom was born in the Philippines. They have talked about how that ethnic food has influenced their palettes. I have met many Filipinos over the years while living in L.A. and even in Dublin. I also had the pleasure of visiting the Philippines back in 1994. I absolutely love their warmth, friendliness and openness. I feel that the Irish are akin to them. Both cultures have a strong sense of family and one of the centerpieces is everyone around the dinner table. Likely, for the Hemsleys, these brownies would feature in a good coffee clutch with mom, granny, aunts and cousins all in attendance! Preheat the oven to 170°C/330°F/gas mark 3½. 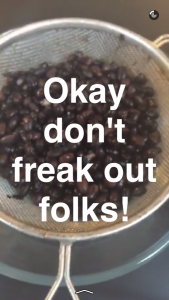 Rinse the black beans and leave to drain. Melt the butter in a saucepan over a gentle heat, then set it aside. Place the drained beans, eggs, cocoa powder, maple syrup, vanilla extract and coffee extract (if using) into a food processor with a large pinch of salt. Pulse a few times and then blend until smooth. Add the melted butter, very slowly so as not to cook the eggs, while the machine is running. Taste the batter – add more maple syrup if needs be – then stir in most of the chopped walnuts, reserving a handful. Grease the inside of a 24 x 20cm (9¾ x 8in) china or glass baking-dish. Pour in the brownie batter and gently tap the baking-dish on to a kitchen counter to even out the batter. Sprinkle the remaining walnuts on top and bake for 40 to 45 minutes, until the brownie feels firm and springy and its surface is cracked. 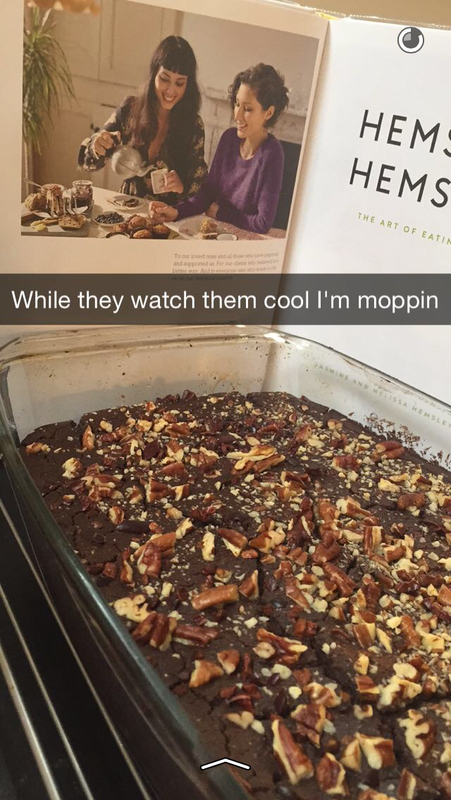 I didn’t have walnuts so I used pecans. In the recipe it also says you can replace the nuts all together and use dried cranberries instead. For the coffee extract I only had Irel (a famous Irish coffee extract) but it contains a bit of sugar. 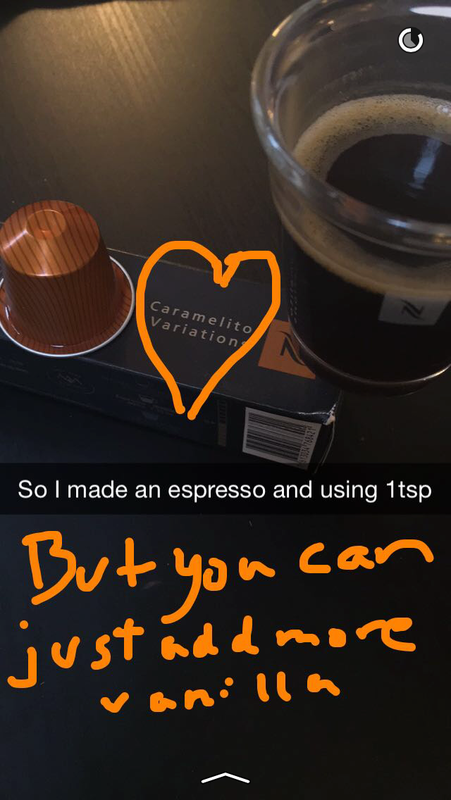 Because I wanted the brownies to be completely sugar free I made some espresso (a Nespresso caramel flavor) and substituted that. 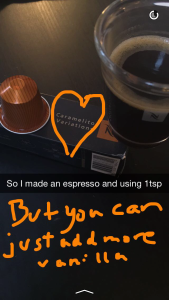 It worked totally fine! I am really excited about these brownies and anticipate it will be on heavy rotation in my kitchen! It is great to have a healthy treat, as I have a wicked sweet tooth. And I have put their spiralizer on my Santa’s list! 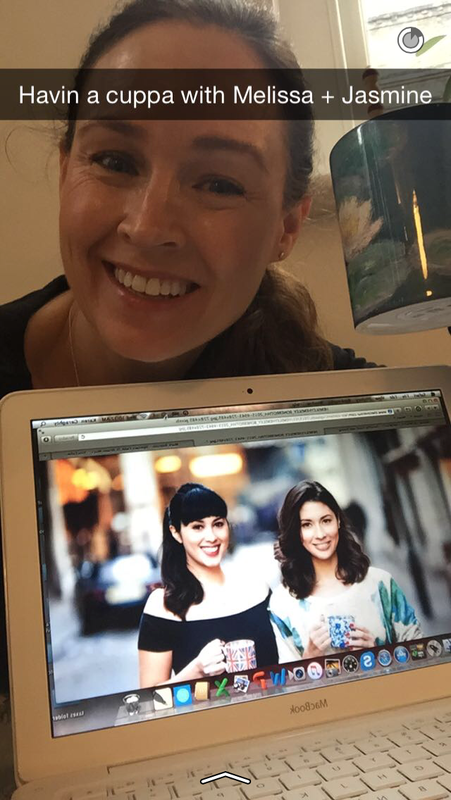 Soon enough the Hemsley sisters will have their second book out and I can hardly wait to see what they have in store next. But with their positive outlook and genuine desire to help people achieve healthier lifestyles, I’m sure they will be flying to the stratosphere! Thanks Melissa and Jasmine. 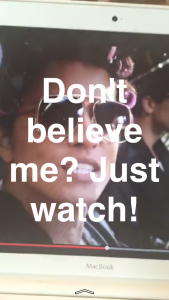 You are shining stars!